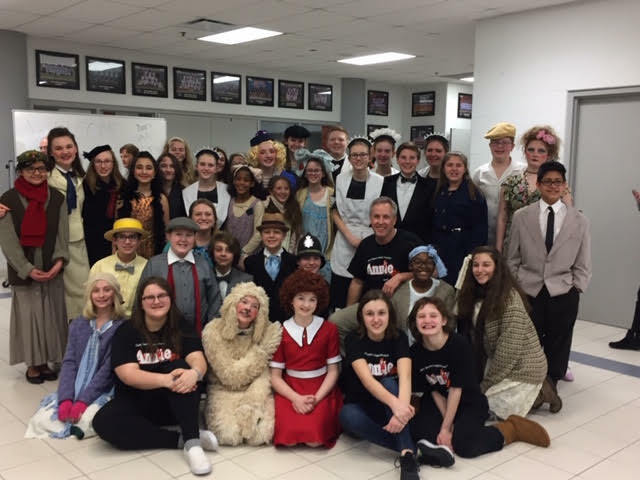 Clark MS students under the direction of Mr Gustas thrilled the crowd with their performance of Annie Jr. on April 4,5,and 6. 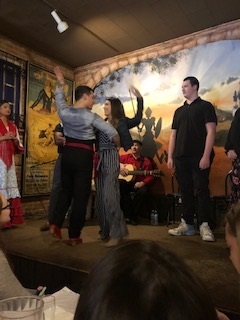 The Spanish 4 Honors classes took a field trip to Don Quijote in Valparaiso on April 12, 2019 for some Spanish cuisine and entertainment from Flamenco dancers. 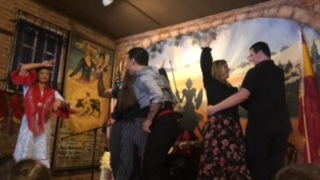 Some of our students and staff even got in on the fun! 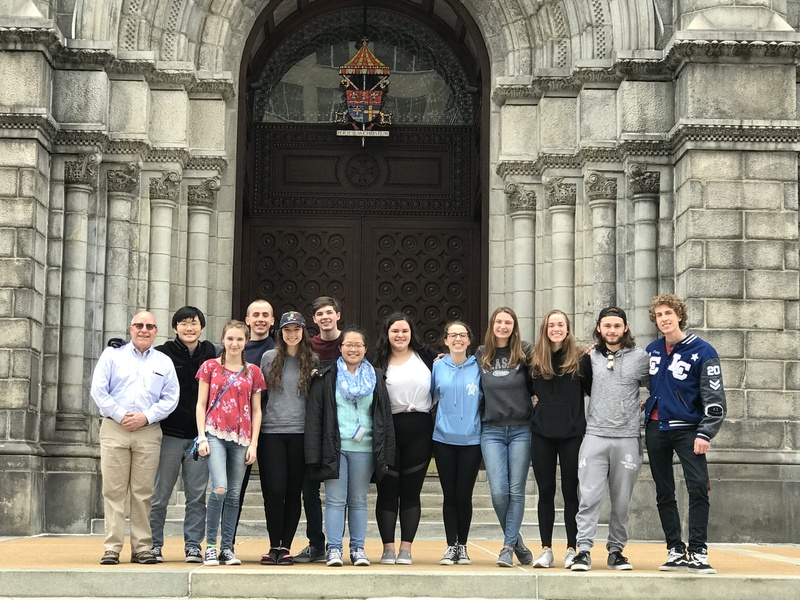 AP chemistry students, under the direction of Mr. Smith, traveled to St. Louis to take part in Washington University chemistry contest. 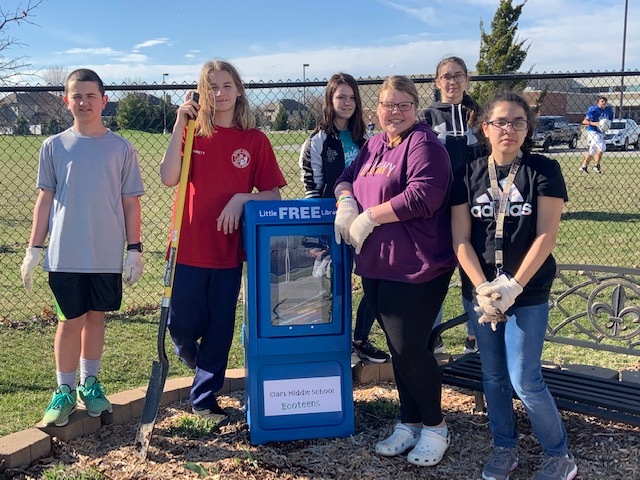 Clark Ecoteens have created 4 little free libraries that will house books of all age levels for the kids in our community! 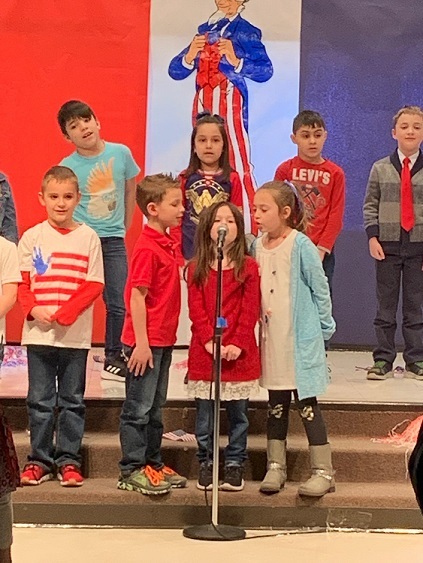 Salute to America by Mrs. Radencic's 1st grade class at Watson. 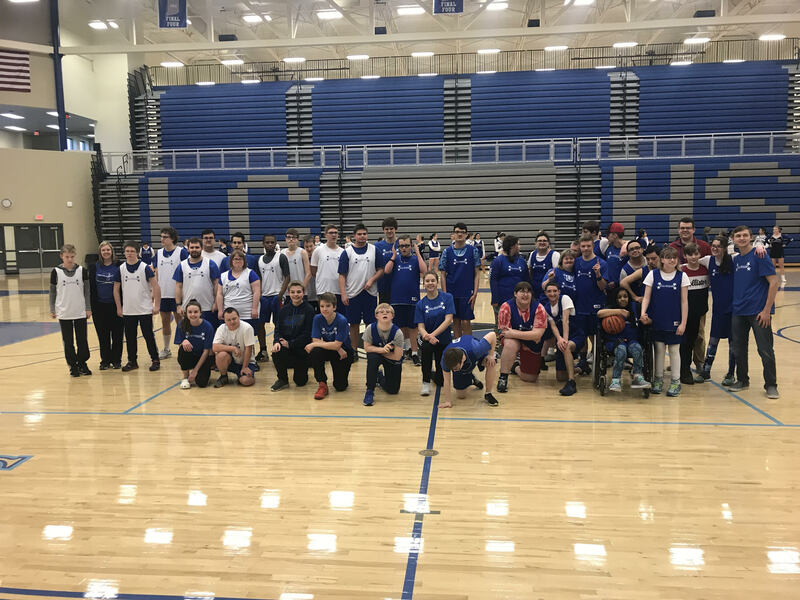 The Lake Central All-Stars wrapped up their basketball season this week. 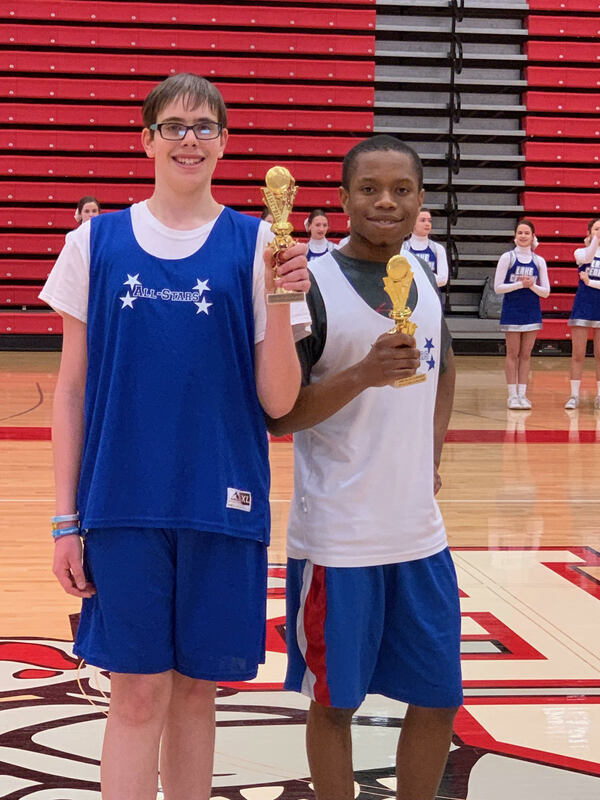 Austin Huber and Lamar Murray won the basketball skills contest at the Crown Point tournament. 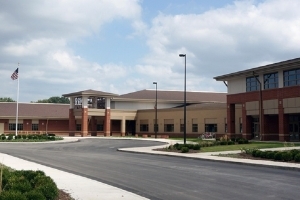 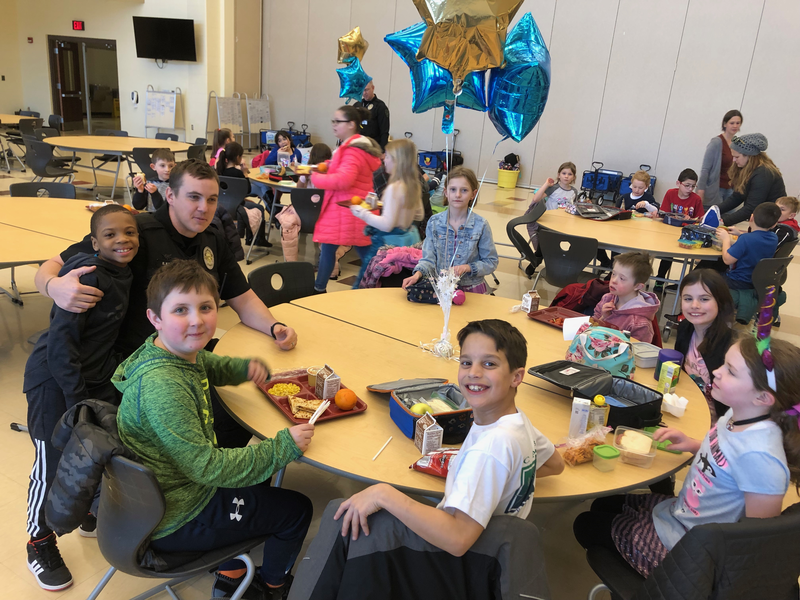 Students had the opportunity to eat lunch with Dyer police officers and show them how to wait in line, grab their lunch, and find a seat in the cafeteria. 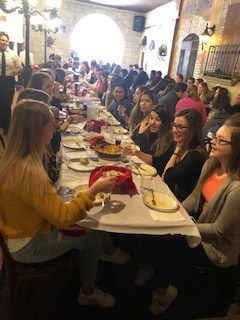 This was an opportunity for the students and officers to build positive relationships, the students loved asking questions and telling them stories! 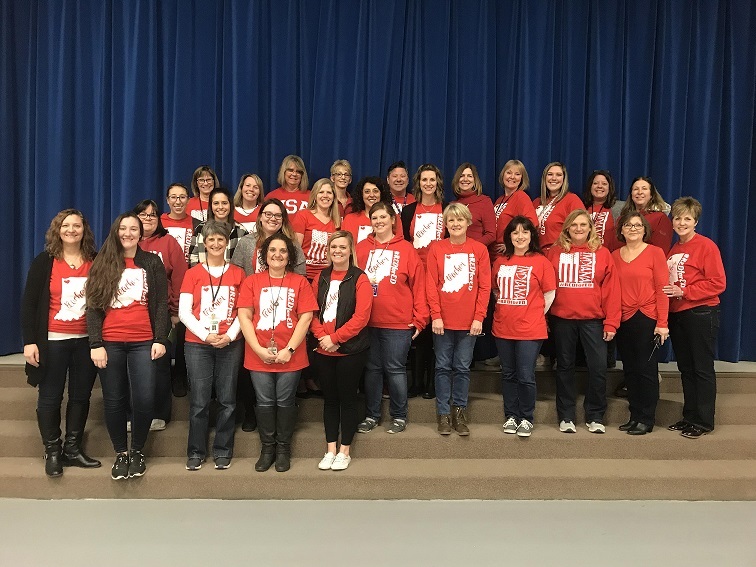 We loved showing our appreciation for everything they do! 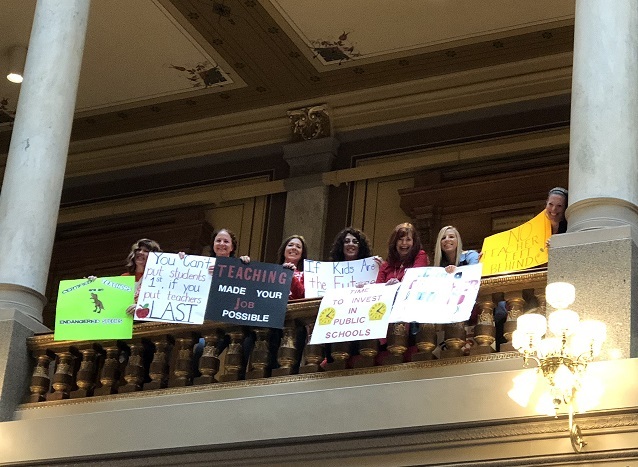 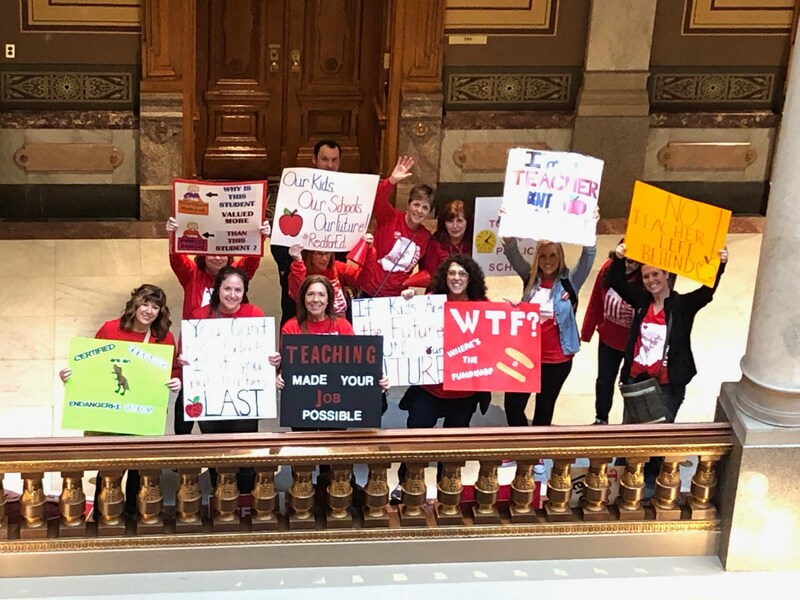 Lake Central teachers gave up their Saturday to ask legislators to fully support Indiana’s public school children at the statehouse rally on March 9, 2019. 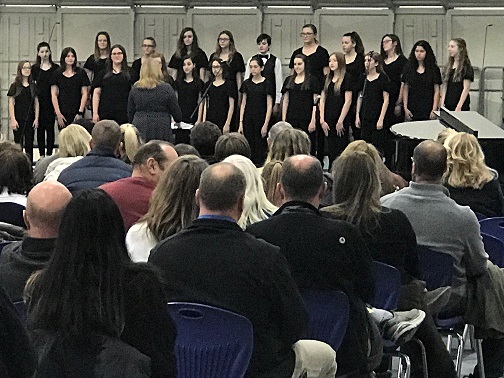 Clark choir concert on 3/7/19, great job by the CMS choir & Mrs. Arroyo, choir director! 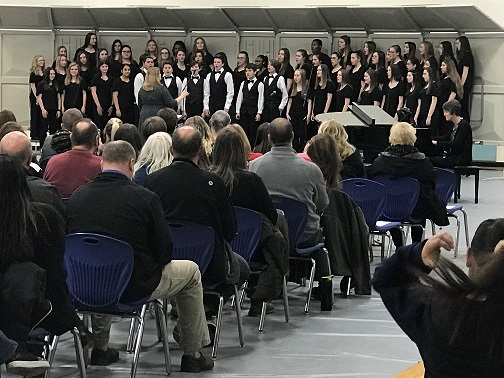 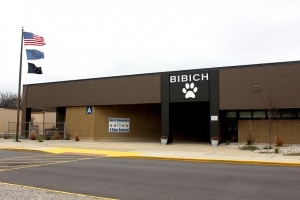 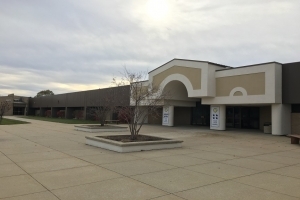 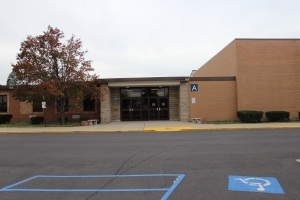 Good luck at ISSMA! 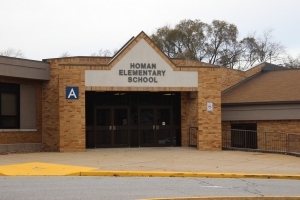 Officer Kissinger educates Homan 3rd graders about the importance of seat belt safety. 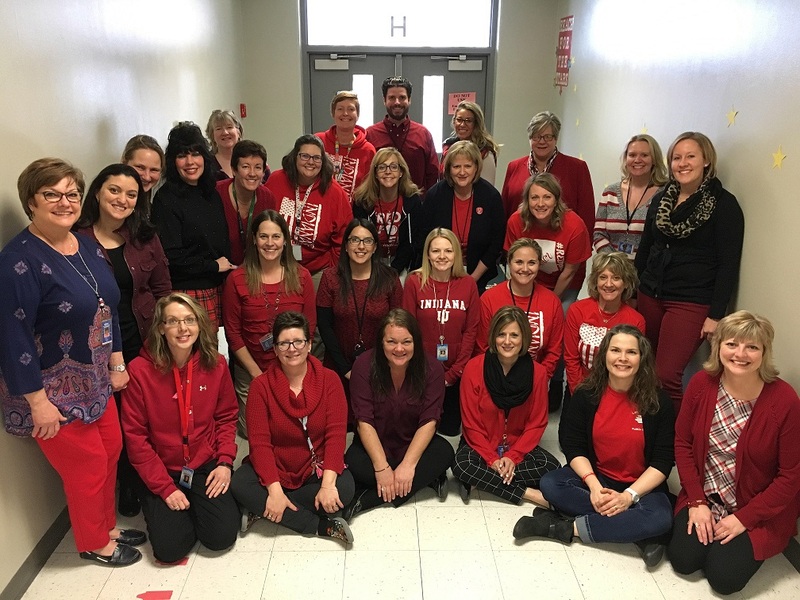 Peifer and Bibich staff members wear "Red for Ed" to share their support for public education. 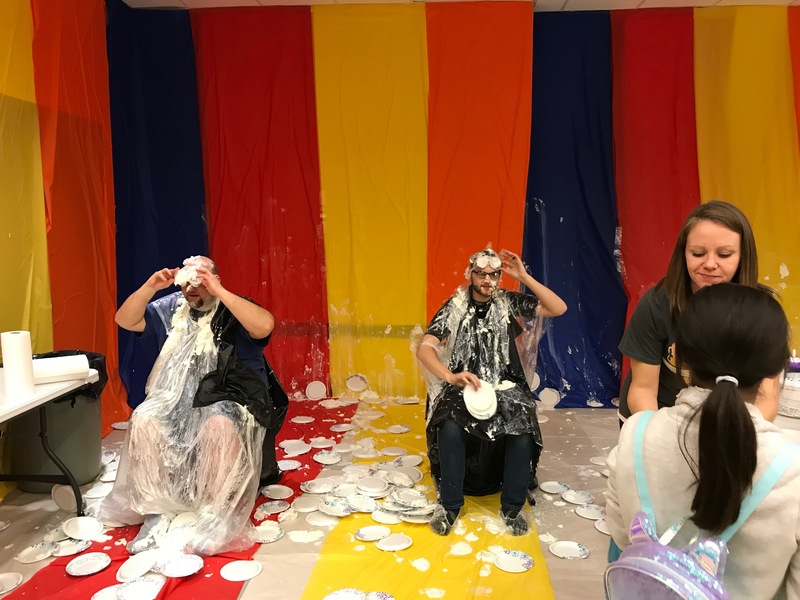 Brave staff members Mr. Karin, Mr. Michniewicz and Mrs. Cashen during the Fun Fair at Protsman Friday evening. 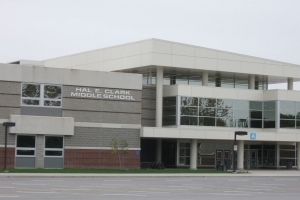 They were great sports as they took pies to the face for charity! 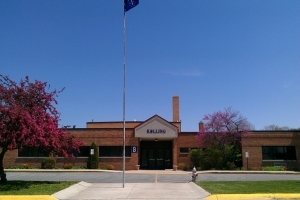 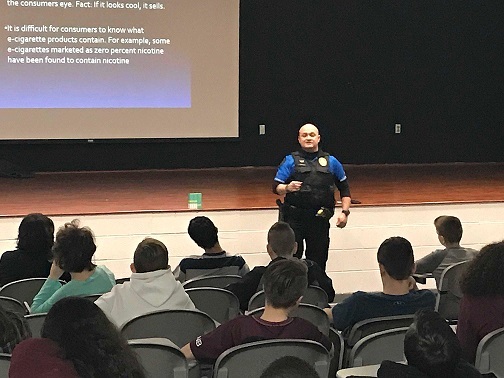 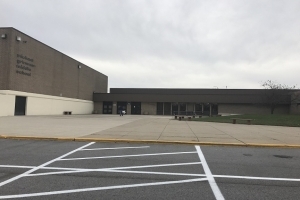 Officer Patrick does a presentation on the negative effects of E-cigarettes, THC, and vaping to CMS 7th grade students during their health class on Feb. 25. 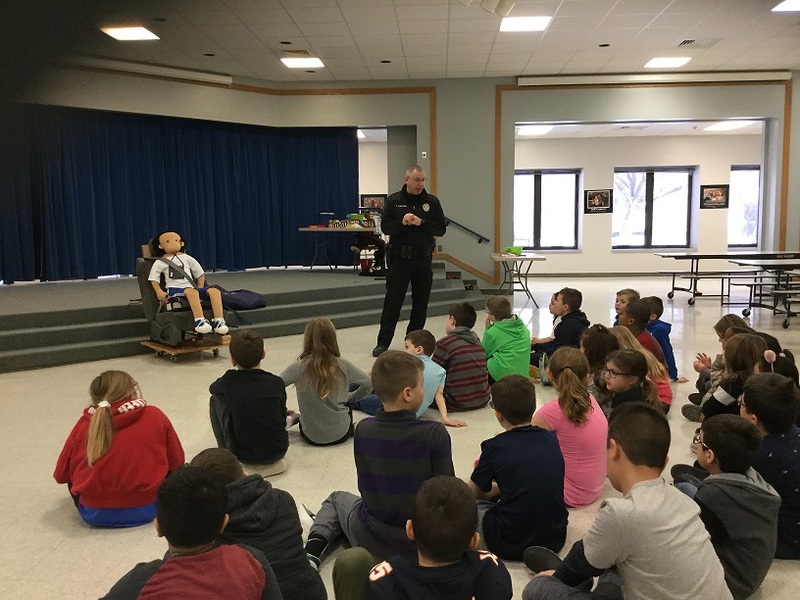 Thanks Officer Patrick! 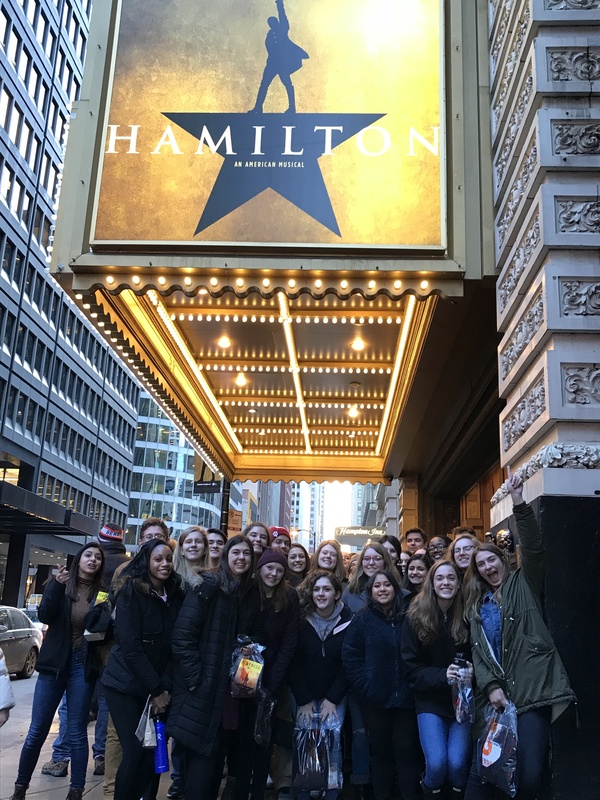 106 Lake Central High School government and history students were "in the room where it happened" when they saw Hamilton this February. 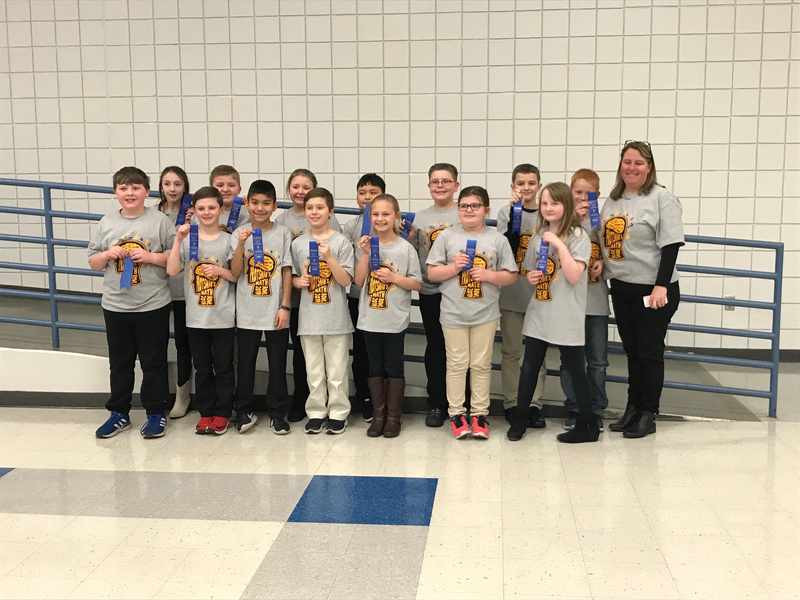 Protsman Math Bowl Team led by coach, Heather McGrath (fourth grade teacher), placed first in the competition last night. 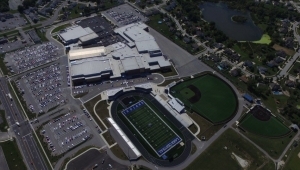 We are extremely proud of all their hard work! 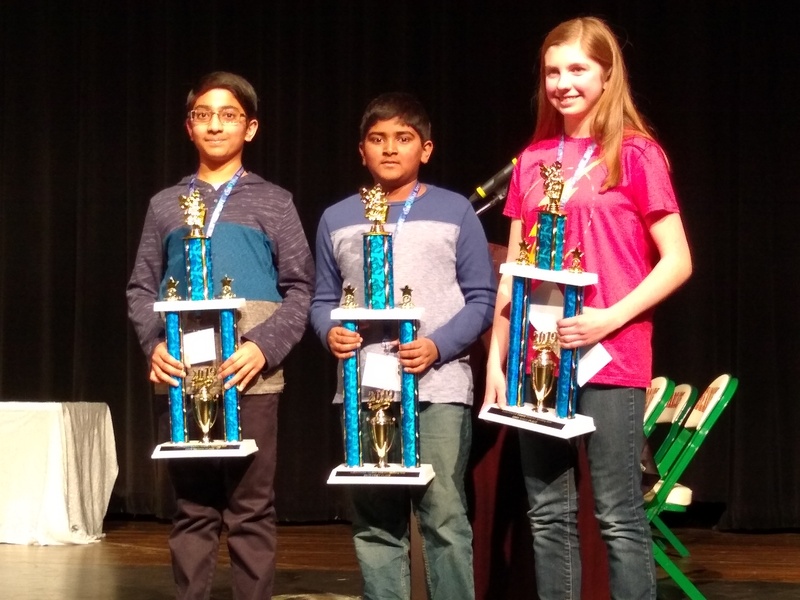 Grimmer 8th grade student, Nachiket Magesh, earned 2nd place at the Scripps Spelling Bee at the 2/21 local competition. 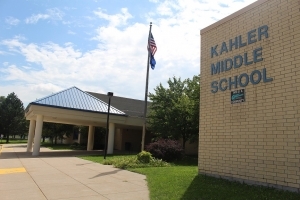 He moves on to the Regional March 14th. 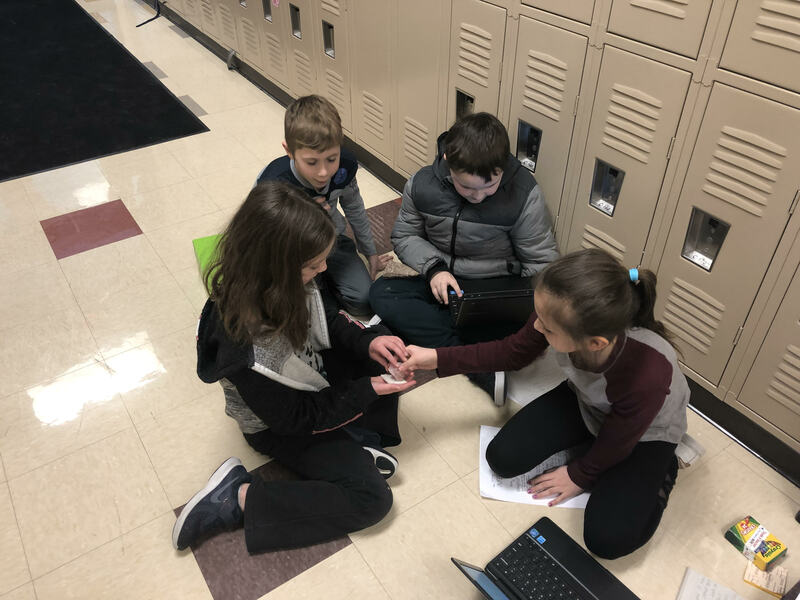 Second graders from Mrs. Krooswyk's class teamed with third graders from Mrs. Webber's class teamed up for a Rocks and Minerals lesson at Protsman Elementary School. 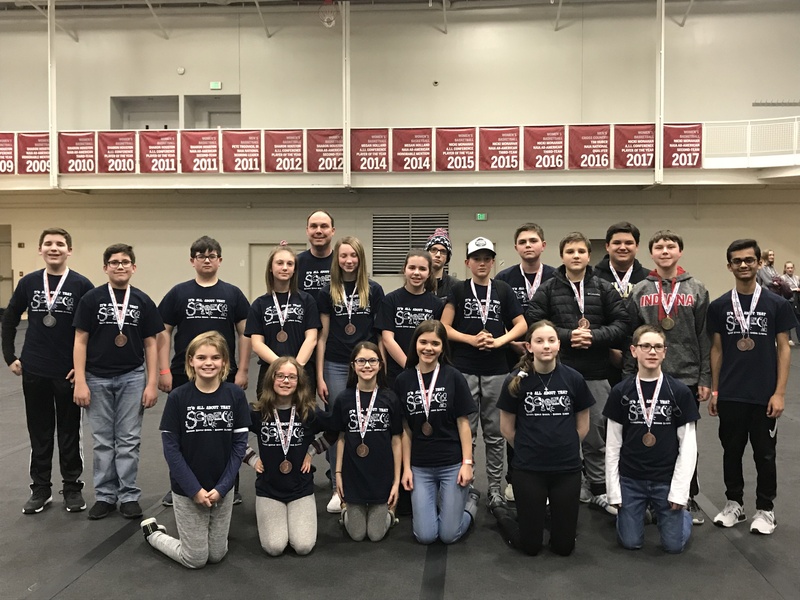 Congratulations to Grimmer's Science Olympiad Team, they qualified for state over the past weekend!